That was two months ago, and it started my voyage of discovery to finding a new 7-inch tablet. I also own the original iPad mini, so at first I revisited that slab. But it just wasn’t right. Sure, the screen looked good, but because it was about ¾ of an inch wider than the Nexus 7 it just wasn’t portable enough – it wouldn’t fit into any of my travelling pockets. Battery life was certainly better, but the Nexus 7 was good enough for me in that department. I’m also mostly resistant to Apple’s constricting environment, but my tablet is more for consumption than a creation device, so that was less of an issue here. Still, even when both the Nexus 7 and iPad mini were in the house, the Nexus was my constant companion. The iPad was relegated to the role of bathroom reader. So the iPad mini was out. I waited to see if Google was going to upgrade the Nexus 7, but was nonplussed by its new Nexus lineup. I already had a Nexus 5 and it’s a great mobile phone. I wasn’t about to spend $650 for a Nexus 6 when I could get a new tablet AND a new Nexus 5 (if I needed one) for a hundred dollars (or more) less. 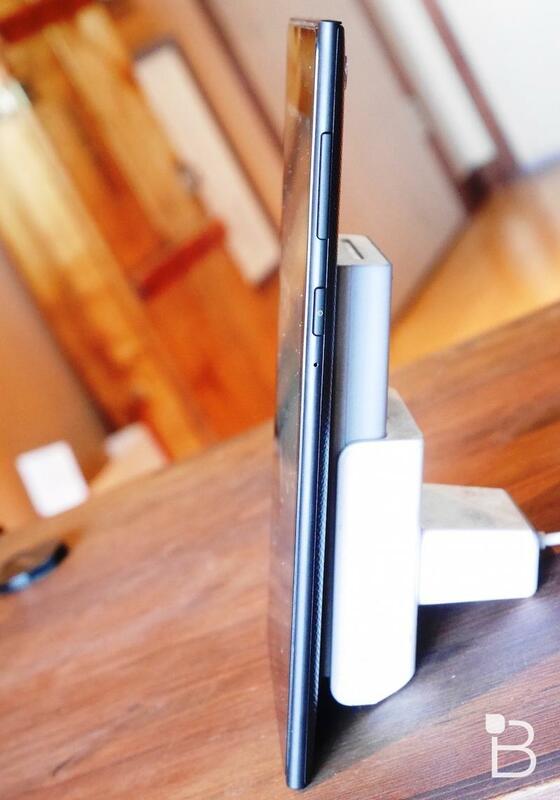 And the Nexus 9 was just too big. I considered picking up the Samsung Galaxy Tab 4, but the screen was just 1280×800, and I really wanted more pixel density. I even considered buying another Nexus 7 – refurbished models were available for around $140, but I just couldn’t pull the trigger. Why spend good money on a year-old design when newer, faster and more power-efficient processors had been released in the last 12 months? I even tried to go back to my older Nexus 7, but it just wasn’t the same. 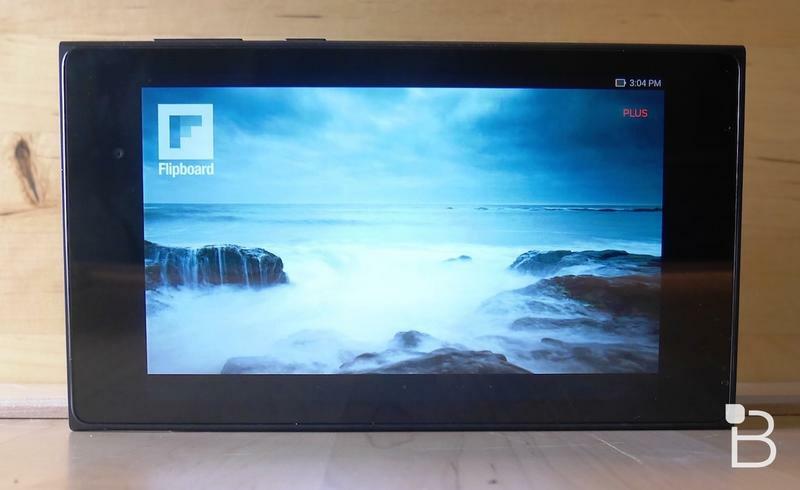 The bulkier original Google tablet has suffered from screen burn-in and backlight bleeding over the past two years, making the center of the screen much brighter than the perimeter. That got old quick. 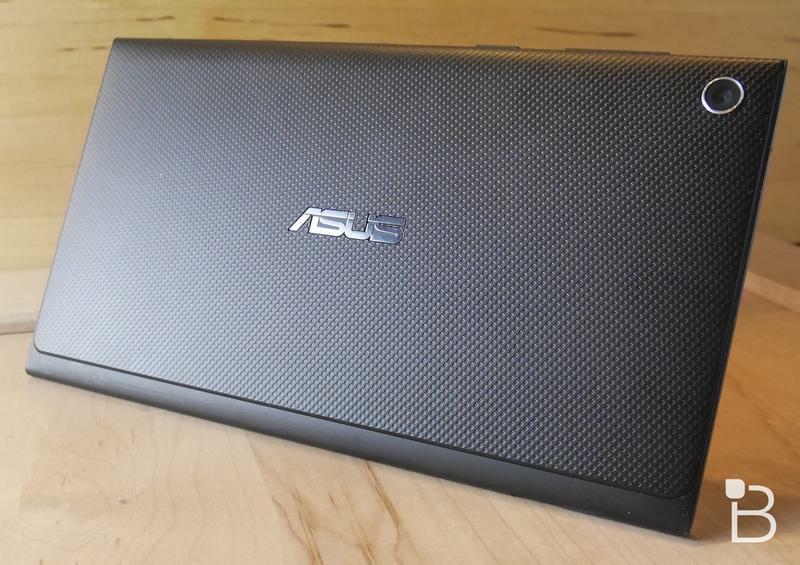 But then a week ago I was at Best Buy and saw an Asus tablet I’d never heard of before – the new ME572C. 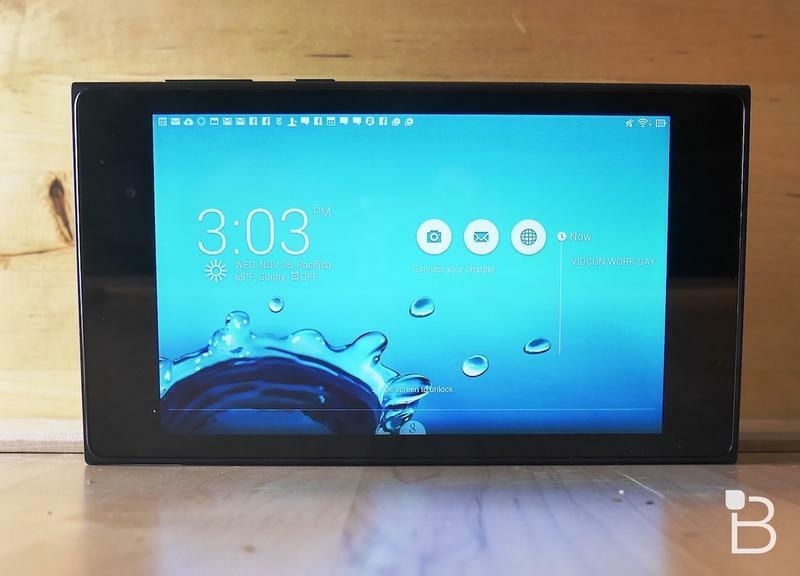 Unlike previous 7-inch tablets from Asus, this one had the IPS 1920×1200 screen I was desperately seeking. And as I dove deeper into the specs it looked exactly like what I’d been hoping to see from Google – an upgraded Nexus 7. In fact, I’ll bet that it actually have started its life as the 2014 version of the Nexus 7, as Asus built both previous incarnations. I can just see Google saying, “no thanks”, as its Motorola partners pushed the “6” on them. It seemed just right to me, so I impulsively pulled out the credit card and picked one up. After getting it home and giving it a deep dive, I found that this new 7-inch tablet really was very similar to the Nexus 7. The size, for example, was almost exactly the same. It was a mere .3 millimeter wider, and exactly the same height. With those specs, it promised to be just as good of a travelling companion as the Nexus 7 (2013). And it was slightly lighter, and about 5% thinner too! The front camera had slightly better specs, but the rear camera seemed exactly the same. 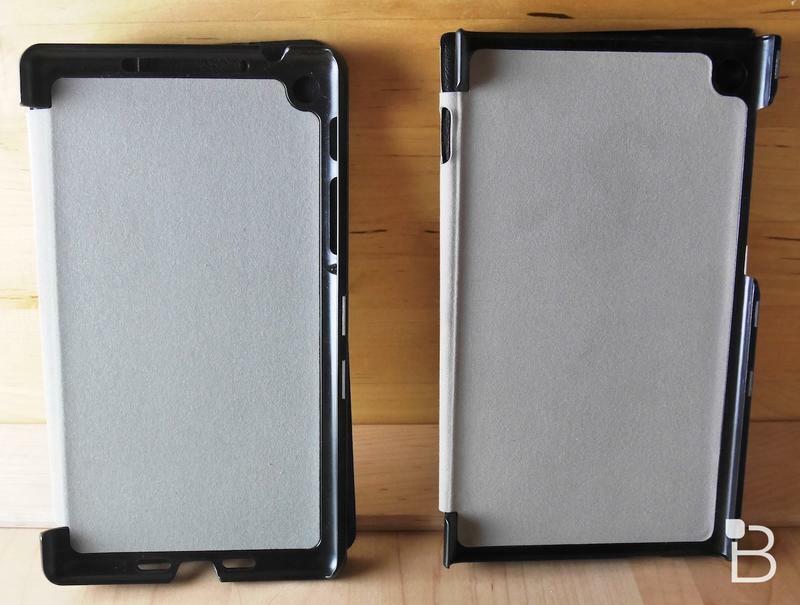 And the battery appeared identical too – both were 15Wh lithium polymer batteries. In a few important ways, though, the new ME572C was significantly better. First, the screen itself. My 2013 Nexus 7 didn’t even have Gorilla Glass, instead it only had a lesser, scratch resistant version from Corning. As I discovered, this led many others to suffer the same spontaneous Nexus 7 screen crack that I’d recently suffered through. The new Asus uses Gorilla Glass 3, which I hope means it’ll be much less likely to spontaneously self-destruct. The ME572C also includes a different processor and graphics subsystem. 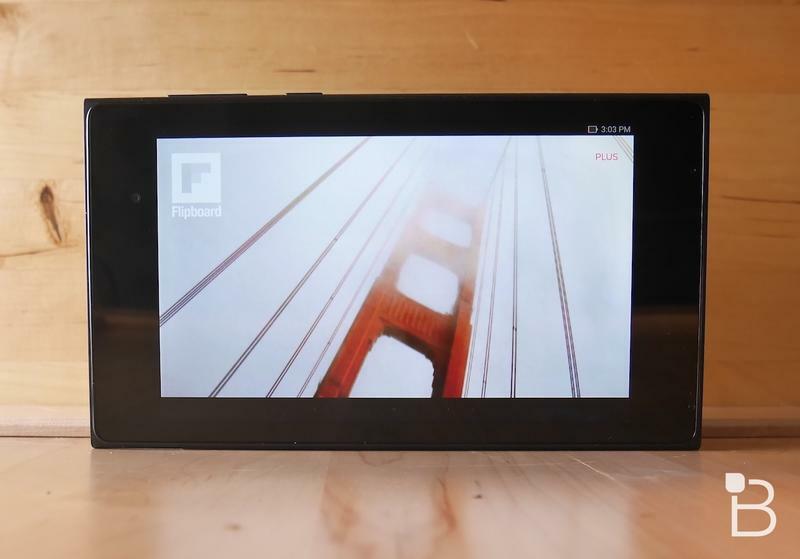 The Nexus 7 was built around a Qualcomm Snapdragon S4 Pro 8064 Quad-Core CPU, running at 1.5GHz, which shipped in 2012. The Asus, by contrast, is built around Intel’s latest Atom Z3560, which shipped in the spring of this year, running at 1.83GHz. The Nexus’ Snapdragon core includes a built in graphics engine, the Adreno 320, while the Asus includes the same GPU as the iPad Air and iPad Mini- Imagination’s PowerVR 6430. Both the graphics and CPU are upgrades from the Nexus 7 – and in my first week of using the Asus tablet it did seem a bit peppier. However I didn’t run any in-depth games, or benchmarks, so your mileage may vary. I was simply happy to have a little bit of Moore’s Law on my side with this new tablet compared to the older Nexus. One other notable addition to the Asus ME572C: a micro-SD card slot that will take up to 64GB of removable storage. When the difference between a 16GB and a 32GB tablet can run $80 or more, it’s nice to know I can bring my 16GB version up to 32GB for less than $10. Or I can take it all the way up to 86GB for under $40. I know why Apple and Google don’t offer these slots – they make major profit on the higher capacity models. Kudos to Asus for not playing that game. After using the ASUS ME572C for a few weeks I’m pretty happy. The battery life seems longer than my old Nexus 7, the screen is just as bright and clear, and I’m only a little nonplussed by Asus’ Android interface tweaks and software load. I ran into problems with Asus’ ZenUI crashing while I was running Facebook, but beyond that it’s pretty innocuous. I really liked how I could delete – or simply make disappear – both Asus’ add-on apps and standard Android annoyances that I never use. Google Play Movies, Games and Books, I’m looking right at you. One minor quibble: the ME572C is almost exactly the same size as the Nexus 7 (2013), but sports more pointy corners than the Google flavor. Those small differences mean my old cases for the Nexus 7 just don’t fit anymore. So I had to go out and buy a brand new case – and toss the old ones in the recycling bin. I get product differentiation, but seriously Asus: couldn’t you have saved some small part of the earth by simply going with the old case design. So yes, I think I’ve got a pretty great replacement for the Nexus 7. This is the product Google should have released, along with the 5, 6 and 9. Unfortunately, because it’s not a Nexus device, and not released by Google, it doesn’t have Lollipop yet – unlike my Nexus 5 phone. Asus claims I’ll have it in about a month, but until then I’m feeling a bit like a second-class Android citizen. But I’m happy with my new tablet. It’s the right size, the right screen and the right feel. We’ll see how long the screen lasts on this one!